Intervenants: Constantine Ferreo (artist), Foutula Ioannidis (militant), Michel Roland (Doctors of the World), Renaud Vivien (CADTM), Hugo Franssen (Hart Boven Hard). An interactive exhibition for children and adults. In Have you rearranged the flowers? buren collective combines different modes of language deriving from advertisement, etiquette, talk shows, songs and everyday life situations. They use these forms and create a layered content to showcase both its critical and poetic potential. 17.30Samuel Hertz and Maryanna Lachman, in collaboration with the musicians Claire Bourdet (Violin) and Karel Coninx (Viola), present work developed over the past month which examines alternate modes of performing pre-composed music. You will draw and paint while letting the artists guide you: a dancer, an acrobat, and a percussionist/ilustrator. An interactive and dynamic performance to mobilize and aware citizens about the environment, the others and ourselves. 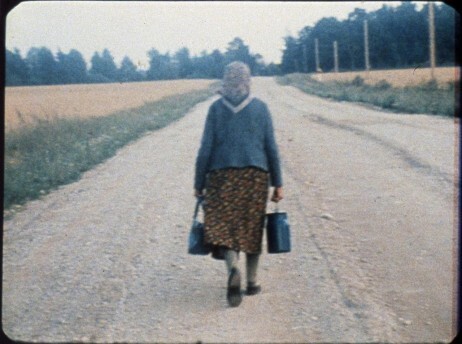 After the success of last year, OTARKINO is back with a 16mm film screening accompanied by a delicious scored dinner. Black Flower is the remarkable project of the sax player and composer Nathan Daems.